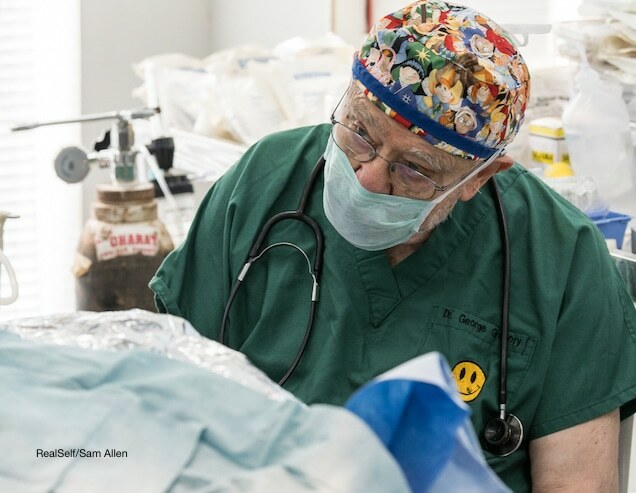 A well-known expert in pediatric anesthesiology, Dr. George Gregory has volunteered his skills with ReSurge for the last 30 years and makes at least one surgical mission trip annually. However, it is his work in the area of tele-mentoring that taken his dedication to a new level. In recent years, Dr. Gregory has built a strong tele-mentoring practice with anesthesiologists, anesthesia techs and nurse anesthetists in the countries he’s visited, including Nicaragua, Nepal and Vietnam, delivering regular case-based training via videoconference with these local medical professionals. Dr. Gregory is already seeing results from this new model in the areas of long-term learning retention, patient outcomes and advances in surgical protocol. The concept began in Vietnam. Dr. Gregory, along with Dr. Mike Beach, had regularly visited the country with ReSurge for many years. Specifically, they spent many of their surgical visits at Children’s Hospital #2 in Saigon, an enormous 1000 bed hospital that regularly houses over 1500 patients in those beds. During his visits, Dr. Gregory began to understand that he needed to figure out a way to continue education of the staff after he and Dr. Beach had returned to the US. Because Dr. Gregory and Dr. Beach had established such a strong, trusting connection with this hospital due to the relationships they had formed over the years, they were able to set up a pilot ‘tele-mentoring’ program. Each month, the hospital sends Dr. Gregory a case study of current and past patients. Dr. Gregory analyzes the data and creates a slide presentation that includes the latest medical literature. He then hosts a live, interactive videoconference lecture on the case. This model was very popular with the hospital anesthesiology staff and its availability quickly expanded to include other hospitals across Vietnam. Dr. Gregory is now offering tele-mentoring in Nepal, Nicaragua and in Swaziland with Dr. Deb Rusy as well. And it’s working! According to Dr. Gregory, he has seen two main successes through this program. First, standards of care and surgical protocols are changing. Just as important as changing surgical protocol, Dr. Gregory is also seeing a change in the way people think about the medical problems they encounter. Dr. Gregory would like to see this model expand into other countries and also potentially involve the addition of surgeons and other team members to discuss and educate on their surgical areas of expertise. In hopes of providing additional resources to anesthesiologists across the globe, Dr. Gregory, with other members of ReSurge, also wrote a textbook Anesthesia Care of Pediatric Patients in Developing Countries. This free textbooks has been downloaded over 300,000 times. Marian Wright Edelman, president and founder of the Children’s Defense Fund, once said “Education is about improving the lives of others and for leaving your community and world better than you found it.” Never has this statement been more appropriate and profound than in the case of Dr. Gregory. He believes his ReSurge experience is as much about teaching as it is about healing. “By teaching medical professionals in developing countries, I know I’m actually doing something that makes a difference in their lives and the lives of their patients,” said Dr. Gregory.